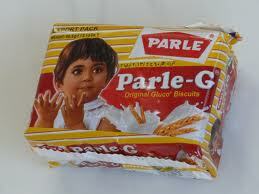 Parle -G still rules the world .Parle -G with its taste and quality has been popular for generations of Indian . Parle-G, the glucose biscuit brand from Parle Products , has consolidated its position as the world's largest selling biscuit brand, says a report by Nielsen. The study, for last year, says Parle-G has topped brands like Kraft's Oreo, Wal-Mart's private labels and Mexico's Gamesa in voulme sales to lead the 11,295-crore Indian biscuits category. The Nielsen study adds India is the world's leading market for biscuits, ahead of the US, Mexico, China, Argentina, France, Italy, Germany, Turkey and Spain.